Comparison of measured (black symbols) and simulated (color lines) angular dependency of EPR spectra of axial Fe3+ in LiTaO3. Thickness of magenta lines reflect intensities of EPR signals. 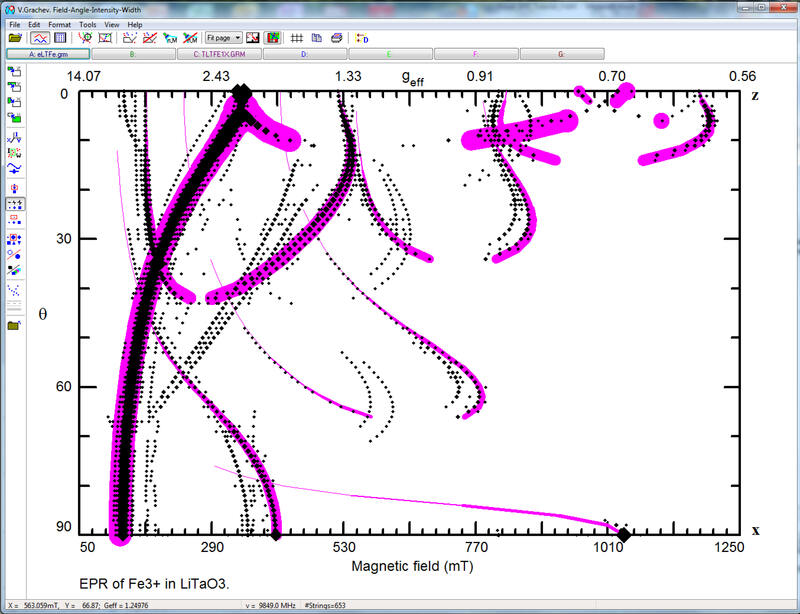 Comparison of measured (black symbols) and simulated (color lines) road maps of EPR spectra of two axial Fe3+ in LiTaO3.